Two 40,000 sq. foot side by side buildings for lease or possible sale. 40,000 sq. ft. $3.75 PSF NN (CAM, Taxes and Insurance Estimated at .85 PSF)or lease both at $3.50 PSF NN. 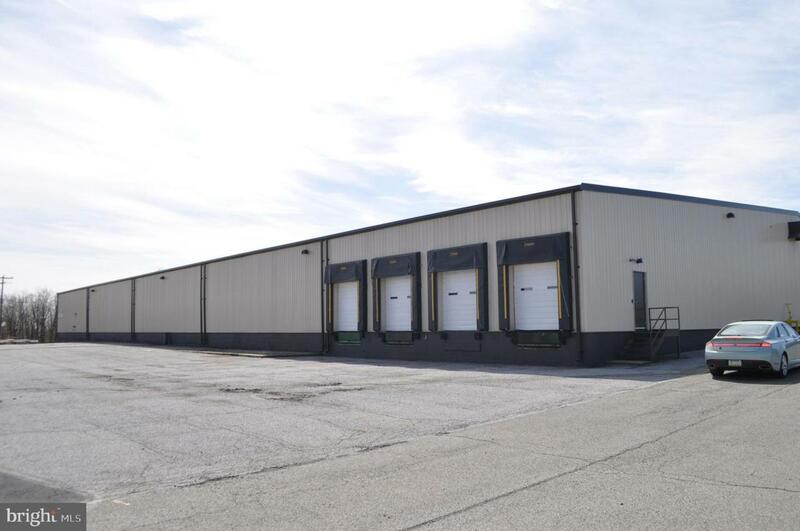 Both building approximately 160' X 250' each with restrooms and office areas. Building #1 19'6" to 13'10" ceiling heights with one 12' X 20' drive in door and four dock doors. Building #2 17'9" to 12' 3" ceiling heights with one 12' X 16' drive in door and four dock doors. Separate offices and rest rooms in each building. Mostly 25' to 40' column spacing. Sprinkler system, Natural gas. Easy access to Interstate 81. Building also offered for sale at $27.50 PSF (2.2M).